You may have read in my Bathing In The Fae’s Breath Book, and various articles, about how I changed from being a Ley Hunter addict to a completely opposite view and interpretation of Ley Lines. What on Earth in Nature goes in straight lines? Its all circles, spirals, and snaking shapes, I then believed. But when we contemplate on the perfection of flower petal leaves, the unfolding of fern fronds, and the falling of snowflakes we become awed by the fractal formations of Nature. 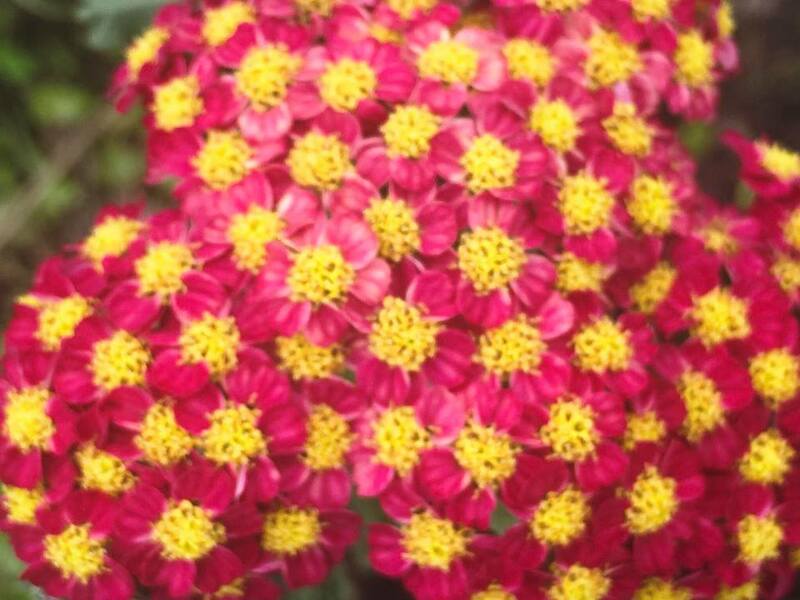 Fractals are curved, circular and spiral geometricals in Nature. They have a remarkable duplication either exacting in size or exacting in reducing or increasing scales. This phenomena has been used to identify and calibrate crystal formation and growth, and galaxy formation and growth. I was inspired to write this article from memories of one of my favourite ‘toys’ as a child, ‘Spirograph’. I bought one for my young granddaughter, recently, who loves challenges in art and design. ... and they concluded that fractal patterns are the design of life itself, the matrix upon which our reality creates and forms itself. At human religion places of worship we are familiar with steeples and towers, and we are familiar with pyramids trying to communicate with something above. 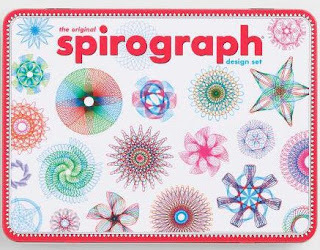 These places often include intricate designs as if their crafts people were gifted with Spirograph kits too. Circles within circles, spirals within spirals, and snake images weaving around all of this. The ancient crafts people of these fractal designs may well have not created these just to create nice art. Inspiration came from somewhere, something? 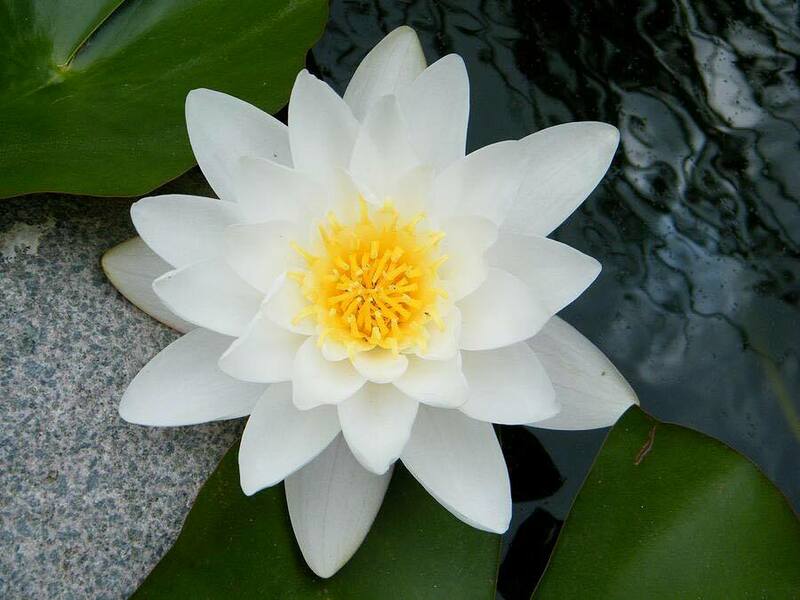 about fractal art origins too. I wonder if these ancient crafts people recognised the fractals in nature. I think they wondered if they could create tools from design and creation that could work ‘magic’ just like the forming leaves, forming flowers, and forming fruits? Today, I tend to regard Ley Lines as some human attempt to harness nature energy rather than try to plot some invisible meridians. I believe humans may have created meridians on the planet through their placements? What did these ancients hope to make accessible through these patterns? This has been a journey of many magician and alchemist wannabes over centuries and escalated through our modern ages of movies and social media drama viraling. Do you, or have you ever had dreaming of fractal images? I do, and have done often. 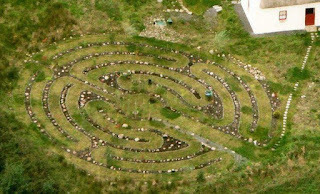 The design of the Carrowcrory Tree Labyrinth Garden was a result of many repeated dreams. The Herb Labyrinth Garden also came out of a few repeated dreams of the ‘Dancing Lady’ fractal imagery. These repeated dreams of mine caused me to wonder whether fractal manifestation arises like a rising snake from our collective subconsciousness. They are there, arising in Spring soon. Arising from Imbolc, from the manifesting containers of life in plants, trees, all animals, and ourselves. All life seems to arouse this from a singular consciousness? The symmetry of it all. Satisfying the human neat and tidy dream. An interpretation of harmony and equilibrium, so that’s a yogi’s dream too. There is abundant human belief in creating and following geometric patterns to invoke balance through consciousness or chakra changes within us. This is a basis of much of the labyrinth walking teaching. Balancing through consciousness awareness, while walking around in circles. This does seem to be a very effective tool to calm the mind. 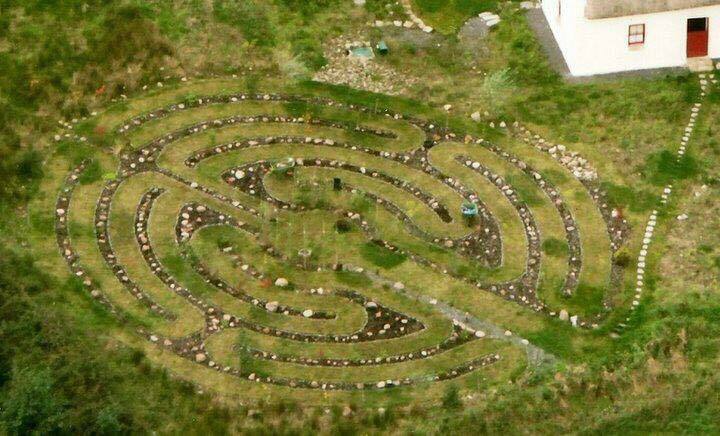 Labyrinth walking seems to bring on meditative mindfulness and flowing awareness from our waking consciousness. What has made me uncomfortable with some labyrinths, is when they are placed in seemingly sterile places, as if there should be a notice saying ‘plants, trees, animals, birds, and weather changes are not allowed in here’. So I feel more at home integrating trees and plants into the labyrinths. 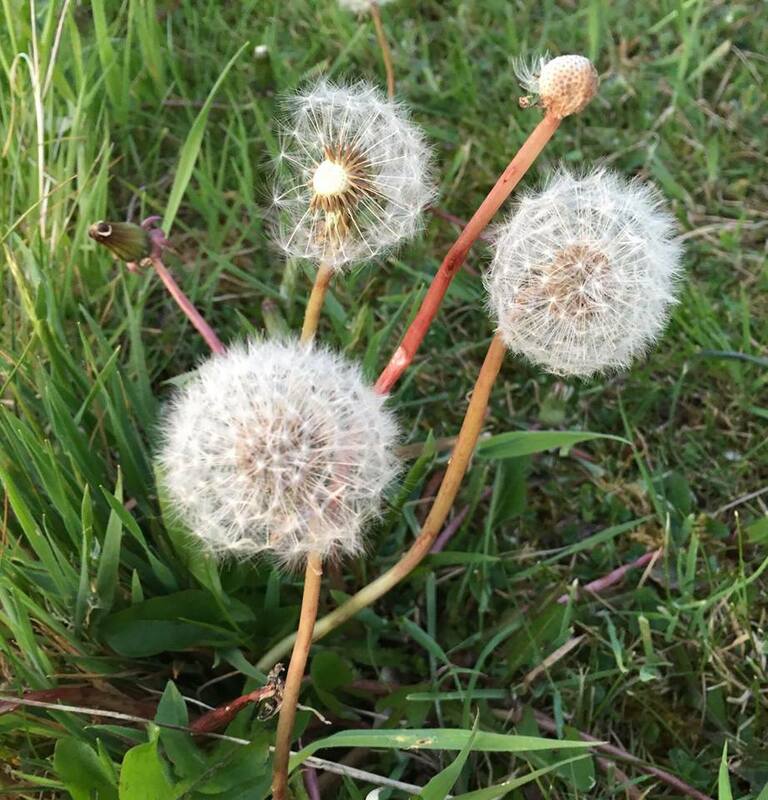 Here at Carrowcrory, these have attracted fungi, insects, birds, and wildlife to be home here in the labyrinths too. Its lovely seeing the birds, hares, and pine martens actually walk or hop around the labyrinth circles. within my human created circular fractals. The labyrinth walks are not multifolded fractals like the forming and creation of leaves and flowers. 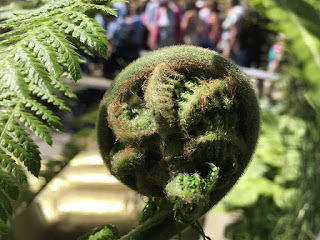 The alchemy there in plants may be very different to the crafts of multi-fold-symmetry crafters, and Spirograph artists. Trusted Labyrinth Walking is quite courageous, for some people, as simple as it seems. We introduce talking stick sessions at the end of Labyrinth walks, to allow space for individual voices and collective audiences. The bridges this seems to form is very warming. Do try it. 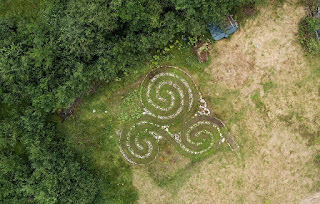 I hope we will meet you at our Labyrinth Gardens to explore this one day?